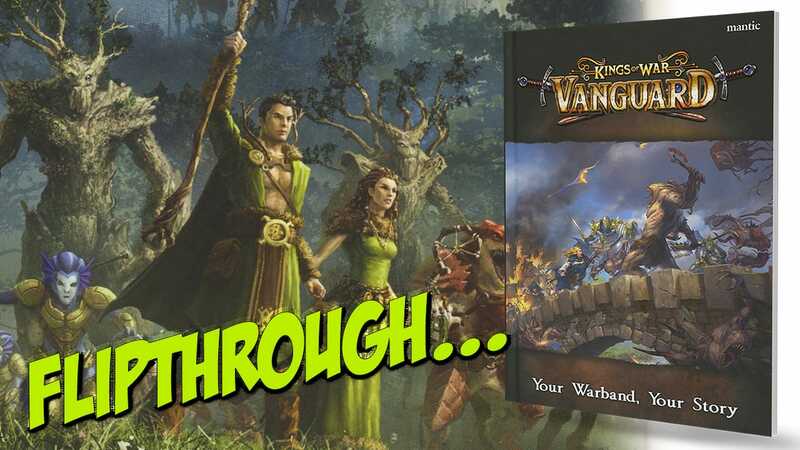 The new Kings of War: Vanguard rules reduces the large battlefield action of the original Kings of War Fantasy Battle Rules down to warband level, with small groups of warriors undertaking the ‘off table’ adventures that often happen before, during or after a big battle. This hardback book has 160 pages, with each one laid out in an easily accessible style. The ‘What You Will Need’ section aids both beginner and veteran alike, then plunges into outlining the relevant stats. As this is very much a small scale skirmish game, each figure is raised from being part of a rank and file army, to an individual character. The rules section begins by focusing upon the need for set up, which is scenario based, the roll of rounds and turns, and the need to roll up your Warband’s ‘Power’ for that turn, these are the number of ‘action points’ which may be spent to activate a member of the Warband. Models are activated using the points, on a model-by-model basis, with each model being allowed one ‘long’ action or two ‘short’ actions. A chart shows the cost and description of the use of Power. This is charted by the use of the six-sided Power dice, which come in sets of 5 red, 2 white and 1 blue, which have special symbols or blank faces as required. The Movement, Arcs and Line of Sight, Ranged and Melee combat rules are here. An interesting rule in Melee is Retaliate, whereby an attacked model may fight back at full effect rather than simply defending. This maintains the idea that all the miniatures in the game are individuals. After all this combat, it follows that individuals may be forced to give ground, as shown with the Nerve and Fallback rules. Special Rules section explains the use of skills and abilities noted on the character cards, and the casting of magic spells is dealt with. These are basic, ‘up close’ spells, rather than the types of battlefield changing abilities from much larger encounters. Creating a Warband is outlined, and the rulebook includes 14 choices of Warbands, complete with the option to upgrade each part, adding to the basic abilities as required. 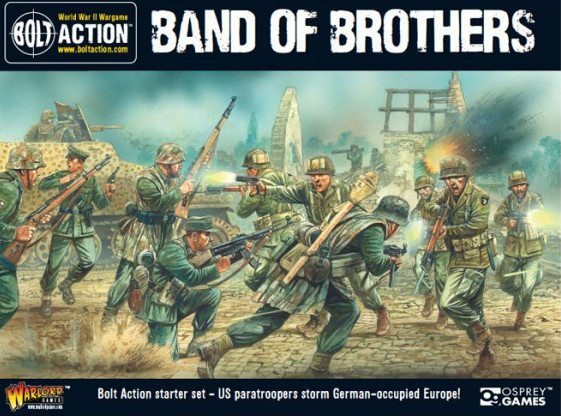 As this is a narrative-style skirmish game, there are 12 scenarios outlined, each akin to a ‘special forces’ style mission, given a fantasy twist. The Capture The Giant! scenario is an interesting one, as Mantic designed a giant just to be used for this. 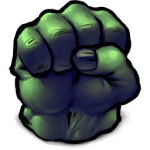 Each faction has a background section, which provides an insight into the long story of the ongoing warfare in Mantica and how Warbands from a certain background should behave. An advanced spellbook, charting unique spells for certain types of creatures, leads into detailed Campaign rules, wherein a ‘Company’ of warriors are created, from which a Warband of ‘specialists’ is drawn – again, something like a ‘special forces group’ of ‘operators’ who are sent out in small teams on missions. The idea is to run your company, gaining experience and wealth, then seeing what happens after each event, in terms of casualties, promotion, new special rules, upgrades and the ultimate reward, gold. There is also a ‘between missions’ section, tables where die rolls are made to see what is gained. This is a very well laid out set of rules, which flow remarkably easily and focus on the mission rather than the battle. The book itself is very nicely presented, with some great artwork and photographs of miniatures. The level of detail in each ‘mission’ is excellent, and the whole book offers a great deal over the course of its 160 pages. Well worth a look for those starting out in fantasy or looking for a low figure count, high playability game.